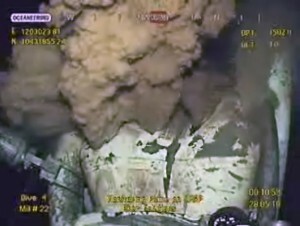 BP's Deep Water Horizon oil drilling unit exploded on April 20, 2010. Since then, a catastrophic amount of oil has spilled into the Gulf of Mexico. Even the infamous Exxon Valdez spill in 1989 off the Alaska coast pales in comparison to the volume of oil that BP has spilled. Conceivably, this disaster can be the largest and most devastating oil spill in history. Florida, Alabama, Mississippi, Louisiana, and Texas are directly impacted. The effects of the BP oil spill are lethal to the ecosystems and wildlife in those states. The businesses in the Gulf states are suffering. Volunteers and employees dedicated to the clean up are falling ill, due to toxins related to the oil spill. BP has earmarked $20 billion to compensate parties who have suffered specific types of injury or damage related to the spill. As of July 10, 2010, $165 million in claims has already been paid. Who this most affects: businesses in the restaurant, hospitality, tourism, retail, and services industries. The Yau Law Firm is dedicated to protecting businesses. With a thorough review of Profit and Loss statements, tax return history, and other documents, the Yau Law Firm can decide whether the BP spill has resulted in lost profits or a loss in earning capacity. A decrease in retail sales due to diminished tourist traffic due to oil spill concerns. Property owners, hotels, bed & breakfasts, and other hospitality-related businesses that must advertise more heavily and/or dramatically decrease rates to attract tenants and guests. The Oil Pollution Act of 1990 provides for many categories of compensation, but does not compensate for bodily injury or illness. Regardless, the Yau Law Firm is committed to representing the injured. We will evaluate your medical records, and discuss your case with you. LUNG IRRITATION: The oil itself produces vapors that can irritate the eyes, nose, and throat. Dispersants, including Corexit, are used to break up the oil, but toxic fumes from these dispersants can also have adverse effects on the respiratory system. NAUSEA, DIZZINESS, HEADACHES: Many workers involved with the 1989 Exxon Valdez spill reported these symptoms. For some, these symptoms were temporary. For others, they were early indicators of more serious illnesses. SKIN IRRITATION: Contact with the oil and with dispersants can cause rashes, dry skin, and other types of skin conditions. Businesses operating marinas, or maintaining piers or docks.